The storage and luggage of a century ago, our handmade cedar chest and steamer trunk captures the golden age of bygone days. Sorry These Products Are Temporarily Out Of Stock! Wagon Wheel Chandeliers and Wagon Wheel Hub Lamps with UL listed parts to the specifications of each customer. Our Wagon Wheel Chandeliers and Wagon Wheel Hub Lamps are from real working Wagon Wheels. In Kentucky we are known for our horses and whisky. Own a little of Tennessee or Kentucky history with a full size whisky barrel. This barrel weighs over 100 lbs. Price Includes Shipping! A realistic wooden Civil War era reproduction 1/2 Scale Cannon. A solid hardwood cannon featuring our own quality steam bent real cannon wheels, makes a nice yard cannon. We custom build wagons and wagon wheels to our customers specifications, after all, our name is Custom Wagons. Buggy-Carriage Wheels, Wood Buggy-Carriage Wheels, Buggy-Carriage Wheel Replacement, Custom Buggy-Carriage Wheels and Horse Drawn Buggy-Carriage Wheels for sale to fit any project. Cannon Wheels, Wood Cannon Wheels, Replacement Cannon Wheels, Custom Cannon Wheels, Handmade Cannon Wheels, for real firing Cannons. Yesterdays Cannon Wheels, handmade today. Steel Wagon Wheels, we make Decorative Steel Wagon Wheels and Functional Steel Wagon Wheels. Yesterdays Handmade Steel Wagon Wheels, Quality Made in the USA Today. Our Steel Wagon Wheels can be used to fit most any size or type of project. Wagon Wheels, Wood Wagon Wheels, Custom Wagon Wheels and Horse Drawn Wagon Wheels. All Handmade Wagon Wheels guality made from American Hickory for sale to fit any project. 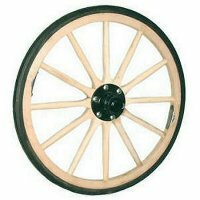 Our Wagon Wheels are real working Wagon Wheels and can be custom built to fit any size or type of project. Use for plants in the spring and summer, use corn, corn stalks, and pumpkins for fall decoration to add that rustic, country, or western decor to any landscape. 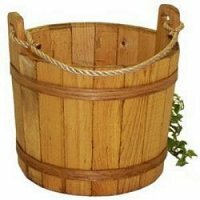 Constructed of solid wood with steam bent wooden wheel and steel rim. The sides are removable for oversized loads. 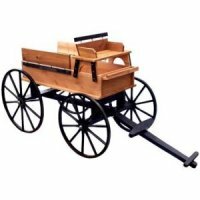 Quality construction, western cedar wood, makes for sturdy wagons and carts that last for years. Wheels are made with solid steam-bent hardwood. 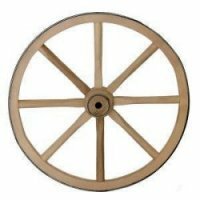 Carriage - Buggy Wheels, Wood Buggy-Carriage Wheels, Buggy-Carriage Wheel Replacement, Custom Buggy-Carriage Wheels and Horse Drawn Buggy-Carriage Wheels for sale to fit any project. Click Image To View Complete Product Information And Larger Image. Click Image To View Complete Farm Wagon Information And Larger Image. Click Image To View Complete 24 inch Wood Hub Wagon Wheel Information And View Larger Image. Click Image To View Complete 32 inch Wood Hub Wagon Wheel Information And View Larger Image. Click Image To View Complete 36 inch Wood Hub Wagon Wheel Information And View Larger Image. 15 inch Wood Cannon Wheel, Extra Heavy Duty. Click Image To View Complete 15 inch Wood Cannon Wheel Information And View a Larger Image. 20 inch Wood Cannon Wheel, Extra Heavy Duty. Click Image To View Complete 20 inch Wood Cannon Wheel Information And View a Larger Image. 24 inch Wood Cannon Wheel, Extra Heavy Duty. Click Image To View Complete 24 inch Wood Cannon Wheel Information And View a Larger Image. 30'' Wood Cannon Wheel, Extra Heavy Duty. Click Image To View Complete 30" Wood Cannon Wheel Information And View a Larger Image. 24 inch Sealed Bearing Buggy-Carriage Wheel. Click Image for 24 inch Sealed Bearing Buggy-Carriage Wheel Information And Larger Image. Click Image To View Complete 16 inch Wagon Wheel Wood Hub Information And View Larger Image.